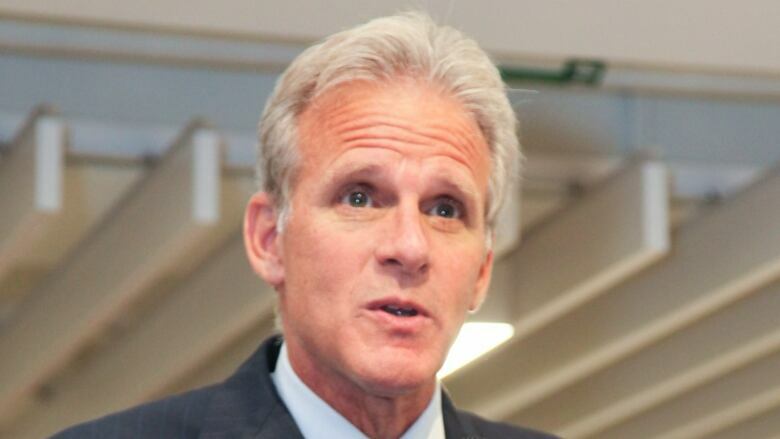 Israeli Deputy Minister Michael Oren blames Hamas and the media for the bloodshed at the Israel/Gaza border this week. 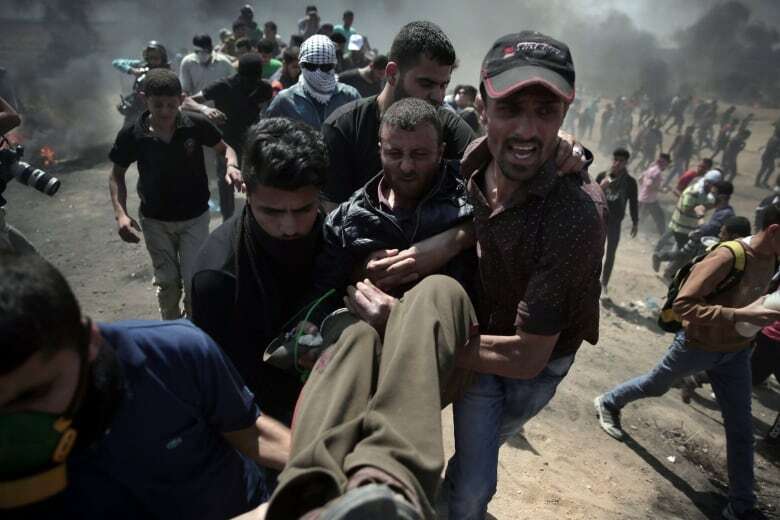 Israeli Deputy Minister Michael Oren blames Hamas for the bloodshed at the Israel-Gaza border this week, and says the media is doing the militant group's bidding. 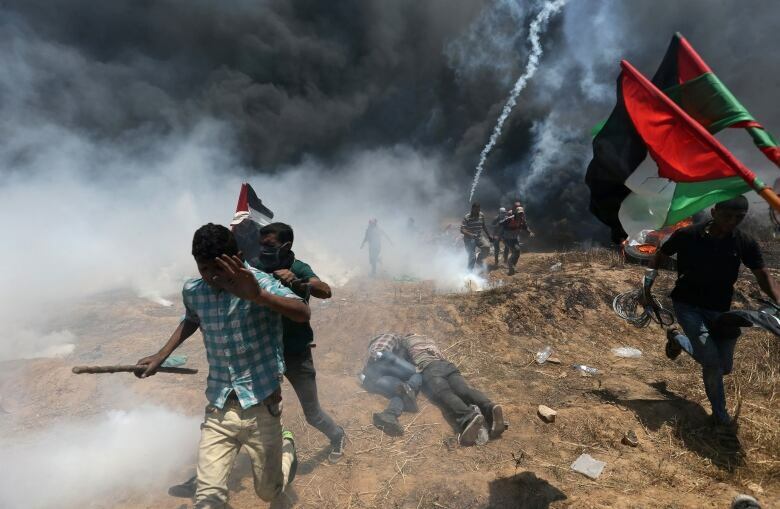 Israeli forces killed at least 60 Palestinians, most by gunfire, and injured more than 2,700 since Monday during protests near the border. Oren says Israel is defending its border, and accused Hamas of using protests as a cover for attacks. 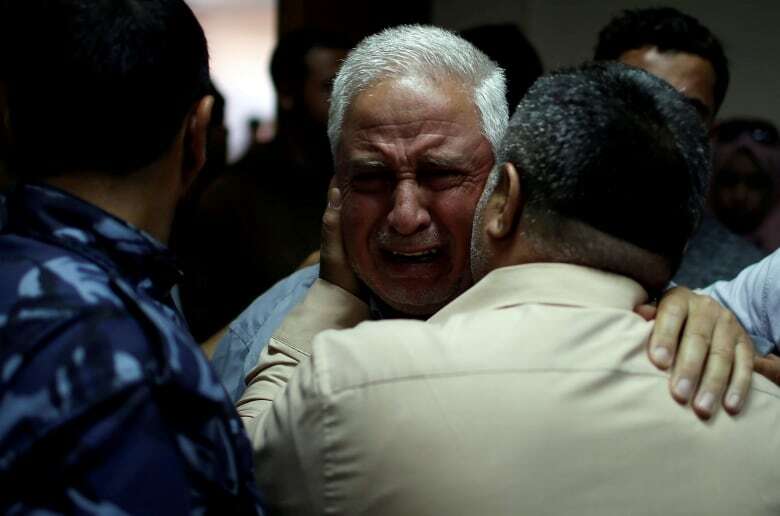 The militant group controls Gaza and is considered a terrorist organization by the Canadian government. Deputy Minister Oren, is there any limit to the number of Palestinians that Israel is willing to shoot and kill? It depends on Hamas, Carol. Israel bears absolutely zero responsibility for this. Whose bullets killed and wounded all those people yesterday? Let me ask you a question. At what point would you let 40,000 people come to your borders to murder people? How many Israelis have been have been killed or wounded in the course of yesterday or during the course of these confrontations? Would you prefer that there were? You want me to regret that weren't were Israelis killed? No. Our soldiers are good and they defended our border. That's their job. They have to do that because if they don't defend the borders then our citizens are going to be killed. We didn't send the Palestinians against the fence. Hamas did. Hamas was very, very open about the goal of this operation. It was to break the fence and kill Israelis and destroy our country. How do you think that looked to the world yesterday when all those people were shot dead at their border? I think it looked to the world the way Hamas wanted it to look to the world. You're doing just what they want you to. Even your line of questioning is just what Hamas wants. And, frankly, Carol you're complicit in further damage and even deaths of Palestinian kids. Because Hamas is going to conclude from listening to this interview that it works. And people like you in the media will turn around and say it's great, and Hamas are going to wake up tomorrow morning and do it again. I hope you're proud of it. Hamas sent 40,000 people against our border to break through the border and kill our civilians. That's the only reason. If Hamas is playing us, then aren't you doing its bidding? ... Why shoot those people so that we end up doing this interview? We have no choice because there's no way we can stop them otherwise. And it's not innocent people. Virtually half of the people killed were Hamas armed terrorists who were using these people as human shields. About a two-hours drive from where I'm talking to you in Tel Aviv, the Syrian army has invaded the Palestinian refugee camp of Yarmouk. Do you care? Have you covered it? Do you care when Arabs kill Arabs, or only when Jews are forced to kill Arabs? These are questions you have to ask yourself, Carol. What is it you were defending yourself against yesterday? Why did you shoot those people? Their goal was to break through and kill. Now you spin it in a different way, but it wasn't. The way you spin it, it's just the way Hamas wants it. I hope they send you a thank-you note because you're doing great. Your colleague, Education Minister Naftali Bennett, has said that anyone who approached the fence would be considered a terrorist. Do you agree with that? Anyone who approached the fence in an area where the Israeli government made it expressly clear that they'd be in a fire zone, yes, was taking tremendous risks on his life. We leafleted in Gaza. Through the social media, through radio and television, we warned people to stay away. I always feel bad for innocent civilians killed, but we don't bear responsibility for it. Hamas does. They sent them. They kept their own fighters back. They don't want their fighters be killed. And they had women with black flags waving them on, telling them that the fence had been breached, to keep going. Because they want to have this interview. You shot the women who were walking toward the border. By the way, Canada would do exactly the same thing. Any country would do that. I don't know if we would have shot doctors or medics. Because we just talked to a doctor who was from Canada who was over there trying to help, and he said he was 35 metres away from the fence when he was shot. Eighteen other medics working with him were shot. The man who was trying to help him was later shot in the chest and killed. All of these medics, they were clearly marked. They were not armed. They were not even throwing stones. They were well back from the fence. Why did you shoot them? Thirty-five metres is not well back from the fence. Well back from the fence is hundreds of metres. Why did your forces shoot the doctors and medics? Why did they shoot the journalists? What were they doing that was a threat? Have you seen pictures of this? Have you seen any photographs of what it was like? 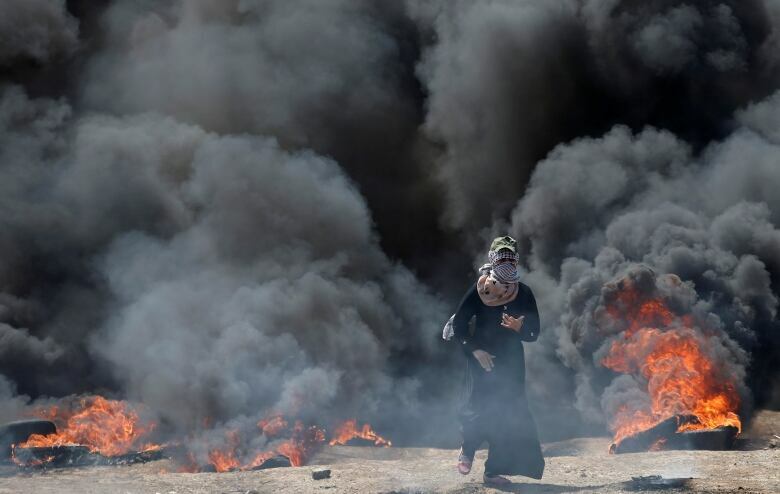 The Palestinians brought up burning tires to enclose the whole area in black smoke. They brought the tires in to set them on fire to camouflage themselves. If we wanted to kill a lot of people, we could kill a lot more people. We're not out to kill people. We're out to defend ourselves. How can you be sure that they were trying to breach the fence? Why couldn't they just be coming to protest? Because we had it on film. I just watched it on the news and I watched them cutting into the fence. By the way, many of them had guns and grenades and bombs. This is not a peaceful demonstration. Why didn't you have them arrested? You think we're going to send our policemen to arrest these people while they're cutting through a fence? Is that a serious question? Are you saying you had no options? We're not in an urban Canadian situation. We're in a war zone. These people are out to kill us. All of them? Palestinians are all terrorists? I think you have to ask yourself two very important questions. Why do you not care when Arabs kill Arabs. Only when Jews are forced to kill to defend themselves? And why do you — you — play the role of conspirator with Hamas? You are an abettor of terrorism. U.S. Embassy opening in Jerusalem will be covered live on <a href="https://twitter.com/FoxNews?ref_src=twsrc%5Etfw">@FoxNews</a> &amp; <a href="https://twitter.com/FoxBusiness?ref_src=twsrc%5Etfw">@FoxBusiness</a>. Lead up to 9:00 A.M. (eastern) event has already begun. A great day for Israel! In opening the embassy, it certainly was. Written by Sheena Goodyear with files from Associated Press. Interview produced by Jeanne Armstrong.